Enjoy the exquisite beauty and magnificent location of St. Regis Lhasa Resort while also receiving Exclusive Complimentary Perks when booking your stay across WhataHotel!. 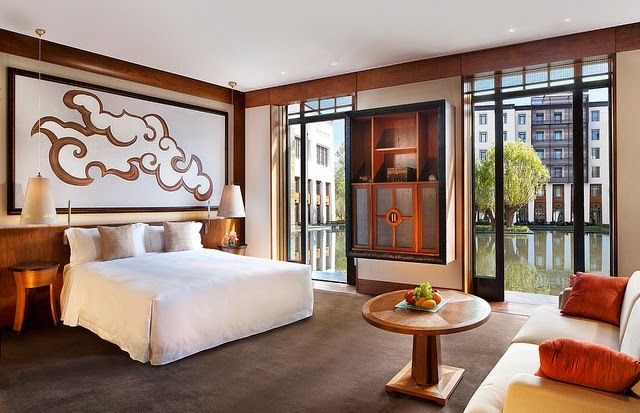 This impressive hotel features 20' ceilings in the lobby with exposed beams, gorgeous paintings of Tibetan nomads on the walls and carpets that were woven by locals covering the floors. Travel to Lhasa, China, a place where culture, beauty and refinement can easily be found. St. Regis Lhasa Resort in located in the unique city of Lhasa, China which is located 3,680 meters above sea level making it the highest city in the world. Lhasa is Tibetan for "the holy land" and with sweeping landscapes, a fascinating history and riveting sites the name completely rings true. Guests will discover fantastic luxury and impressive service at this award-winning resort. 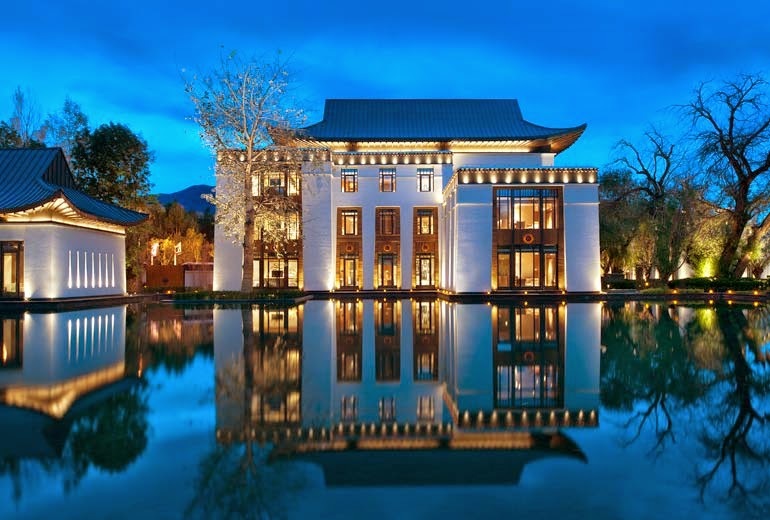 St. Regis Lhasa Resort is made up of 150 guest rooms and 12 regal villas, all decorated in calming browns with black and white photographs that feature Buddhist pilgrims. Other inspiring amenities include large bathrooms with heated floors, a separate tub and shower and cozy beds and furnishings. Throughout the resort grounds guests will find a lovely spa pavilion called Iridium with a meditation garden and holistic treatments. 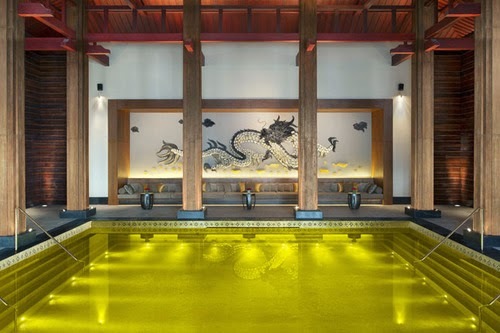 Exciting activities can be found here including yoga, a cooking school, St. Regis Sabrage Evening Ritual, and a shimmering Gold Energy Pool that reflects 24k gold leaves that are secured by crystals (the water is actually a golden color). The helpful hotel concierge is available to secure adventures or excursions off-property and the 24-hour butler service provides guests with a treasured experience where no request is too small. 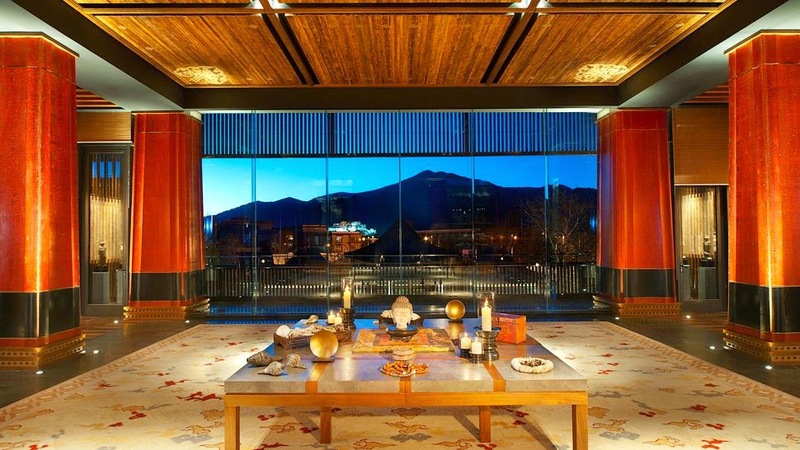 Three incredible restaurants call St. Regis Lhasa Resort home as well as a wine bar and a charming tea room. International cuisine is served up in style whenever hunger strikes. Feel like you are sitting on top of the world when you stay at St. Regis Lhasa Resort while also enjoying the awe-inspiring views of Lhasa and the stunning landscape that surrounds this great city. When booking your travel across WhataHotel!, guests can revel in Exclusive Complimentary Perks for an unbelievable deal. These perks include available upgrades at check-in, a daily breakfast for two, a lovely welcome amenity and options for early check-in and late check-out. This unique city can easily boast that it offers once in a lifetime experiences because traveling here will put you in a spot high above where many dare to go. Allow St. Regis Lhasa Resort to welcome you with unprecedented luxury and top-notch accommodations for a stay like no other in a place that truly is like no other.